Great Place to Work® is pleased to announce the 2018 list of Canada’s Best Workplaces™ for Millennials. 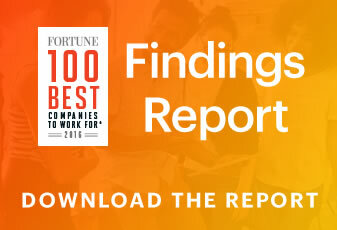 To be eligible for this list, organizations must be Great Place to Work Certified™ in the past year, at least 30% of their employees must fit the millennial demographic (born after 1980), the organization must meet a minimum consistency index across the generations and 90% of employees must agree that people are treated fairly regardless of their age. We determined the BEST based the overall Trust Index score from millennials working in the organization. Recent research from Great Place to Work® shows that millennials, more than other generations, value a high trust workplace. When millennials believe their company has a high-trust culture, they are 22 times more likely to want to work there for a long time and 59 times more likely to endorse it to friends and family. But we also know that millennials pose a higher flight risk than their older peers, and this risk increases the higher they climb the corporate ladder. Savvy organizations, including the Best Workplaces™ for Millennials, are dispelling some of the myths about this age cohort and learning what they need to do to retain their next generation of leaders. With five generations working side-by-side, SAP implemented a reverse mentoring program to help bridge the distance between generations, with the younger talent sharing insights with an experienced employee or leader. During the sessions, which can be a one-to-one relationship or a one-to-many workshop, leaders have a chance to see what younger employees expect from leadership, and understand what motivates them, while the younger talent has a chance to develop their professional and leadership skills. Most importantly, reverse mentoring is about mutual learning and support. Growing talent is one of the core values at Stryker, and the leadership team believes that the more opportunities they provide to employees to learn and grow, the more engaged they will be at work. That’s how the Council of Young Professionals (CYP) was formed. Stryker's vision is to stimulate positive change by giving a voice to young talent, while maintaining the organization's core values. The mission of the CYP is to create an inclusive community across Stryker to drive initiatives that attract, engage and retain young talent. Leaders at Loyalty One recognize that the workforce is changing and they believe that in order to develop a dynamic, sustainable culture for the future workforce, they must understand the emerging work ideals of younger generations. They established a Millennial Advisory Committee, comprised of Generation Y associates, who provide feedback and insights on programs, and act as champions in driving culture and values through a grassroots approach. The Committee has generated ideas and perspectives on matters such as flexible work arrangements, performance management and associate development. The Ian Martin Group has introduced a Role Advice Process to help employees design their own job through crowd-sourcing. The goal is to increase an individual's impact and engagement through a structured redesign of their role. Through the RAP, staff define the set of tasks best aligned with their strengths, the needs of the business and the things they enjoy. All staff are welcome to embark on a process – they just require a sponsor and peer advisers. The Ideabox program at Mastercard Canada allows employees to take their idea all the way to a real Mastercard product. Selected ideas are awarded an Orange Box, which is all about exploring the idea and getting a pitch ready for the Ideabox team. Successful Orange Box teams are awarded a Red Box, which turns the idea into a concept, building a prototype, and testing the value proposition. The Green Box is all about commercializing the product and incubating it within Mastercard Labs. Nulogy supports the education of early-career developers through their in-house apprenticeship and skilled trades training program. Apprentices work full time and are provided an intentional learning opportunity, where they are being paid-to-learn for the first three months with Nulogy. After the completion of their apprenticeship, they have an opportunity to transition into full time work. Achieving lifelong goals or crossing items off a bucket list isn't always possible with a full-time career. Flipp supports a six Month Sabbatical Leave program for full-time team members to help them find their higher purpose. This provides team members the opportunity to explore, travel, or fulfill a lifelong passion by stepping away from the day-to-day routine, coming back rejuvenated and knowing their job is secure when they return. Fuller Landau encourages team members to be involved in charities and committees where they have a personal connection. As such, those who contribute 20 hours of volunteer time to a charity receive a $150.00 donation to the charity of their choice. Zomaron's Social and Charity Committee is an employee initiated and driven committee that works to promote employee engagement inside and outside the workplace. With activities ranging from outdoor excursions, to weekend gaming tournaments, the Social and Charity Committee focuses their efforts on activities and charitable drives that employees are truly passionate about. New research by Great Place to Work® shows one key element impacts millennial turnover by a factor of 22: a high trust work culture. While a high trust culture has an impact on all generations, the impact is much higher in millennials. Sign up here to receive this research first!